Trauma surgeon Joseph Sakran has always been something of a badass. During his career, he’s treated hundreds of gun-wound victims, and his interactions with patients and their fearful loved ones are steeped in real understanding: when Sakran was a teen, he was shot in the throat and survived. His latest fierce move? His response to the National Rifle Association’s (NRA’s) November 7 tweet that “Someone should tell self-important anti-gun doctors to stay in their lane.” Sakran created the Twitter account @ThisIsOurLane, prompting other medical professionals to share what they’ve seen as they’ve treated victims of gun violence. 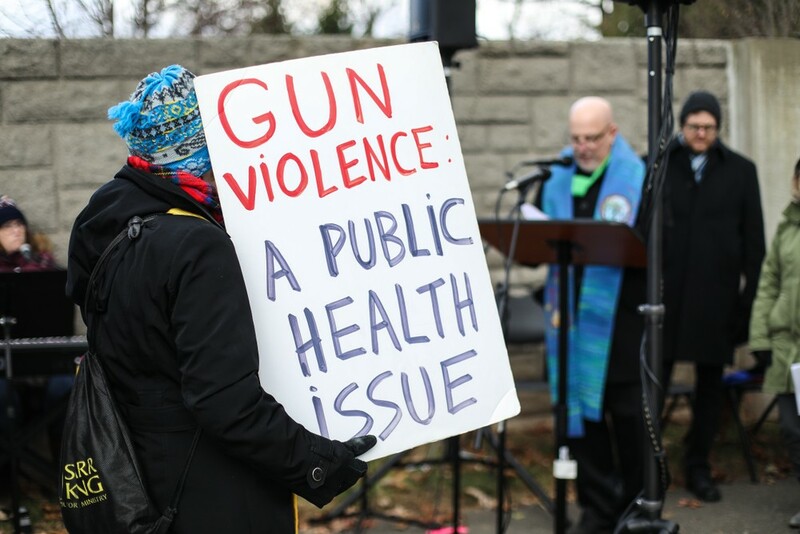 Sakran’s own experience bears out the brutal reality of gun violence. When he was 17, he was hanging out with friends at a park when a fight broke out. “[A] guy pulled out a gun and started firing into the crowd,” Sakran said. “At that point I got hit in the throat with a .38-caliber bullet.” Pre-hospital workers saved his life by performing an emergency tracheostomy; Sakran distinctly remembers the way blood soaked his white clothing. He also remembers a profound episode that took place during his recovery. “I was standing in the bathroom looking at the mirror,” he told NPR, “and I was looking at the scars that I had. At that point I still had the tracheostomy tube, and my father happened to be walking by and kind of peeked in. I think he saw the distraught look on my face and . . . he said, ‘What happened was horrible, and either you can look at your scars and the tube that you have in your neck and feel sorry for yourself, or you can take this second opportunity and really make a difference for other people.’” Sakran describes that moment as life changing. He decided to become a trauma surgeon. He brings his tremendous talents to the operating theater, but his experience also has helped him talk to the families of gunshot victims. Sometimes he’ll share his own story. “When I tell them my story, it allows me to relate to what they’ve just been through,” he says. And now, with @ThisIsOurLane, he hopes to effect even more change. His goals are threefold: to expand universal background checks, to ensure federal funding for what Sakran calls “data-driven solutions,” and to focus on education and safe storage. Joseph Sakran is a survivor. He’s also stepping up to make the world a safer place. At ESME, we honor those who seek to protect and empower our families. Know anyone we should feature? Reach out to contact.us@esme.com.